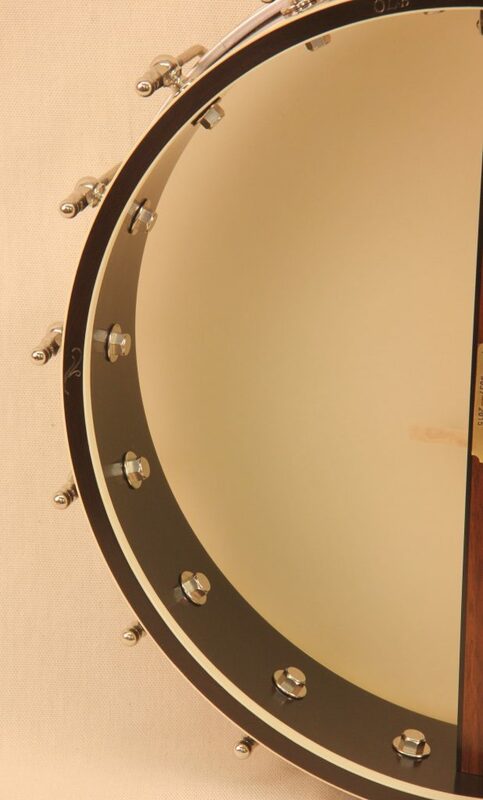 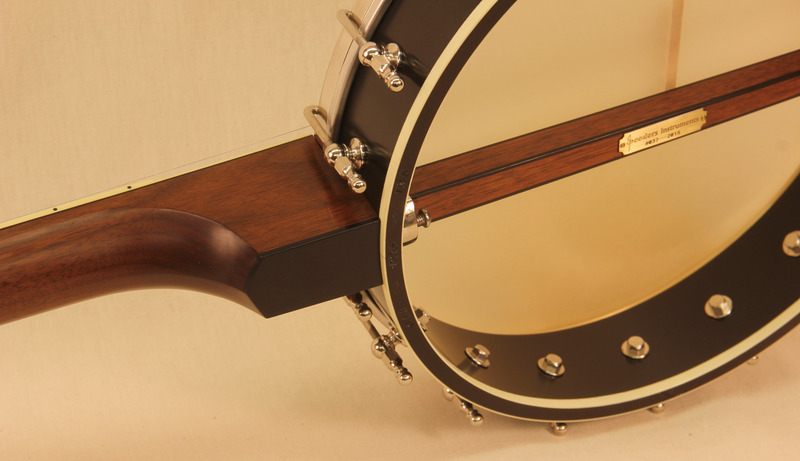 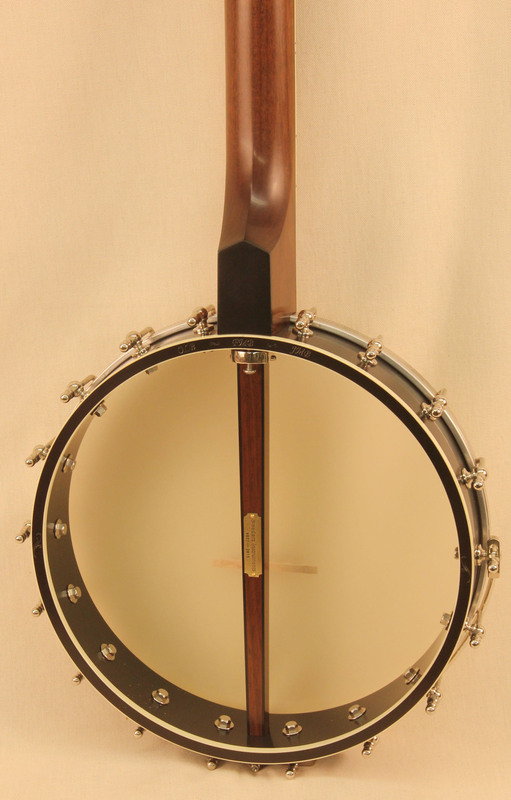 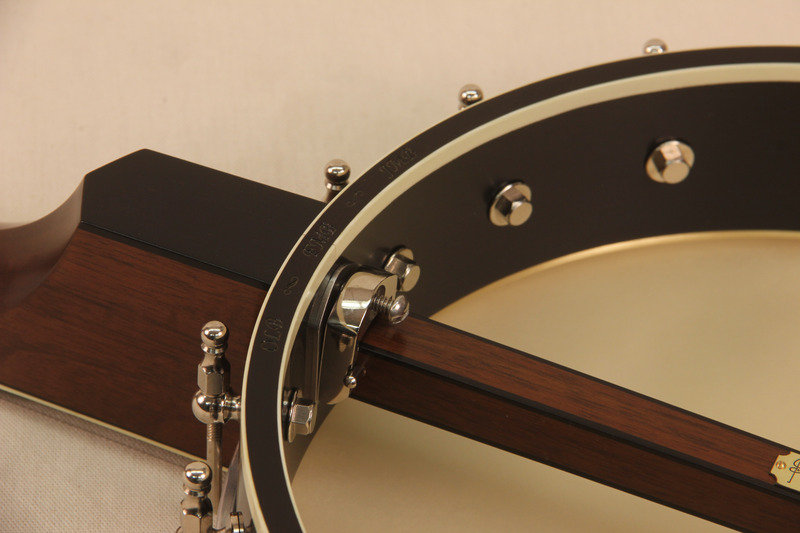 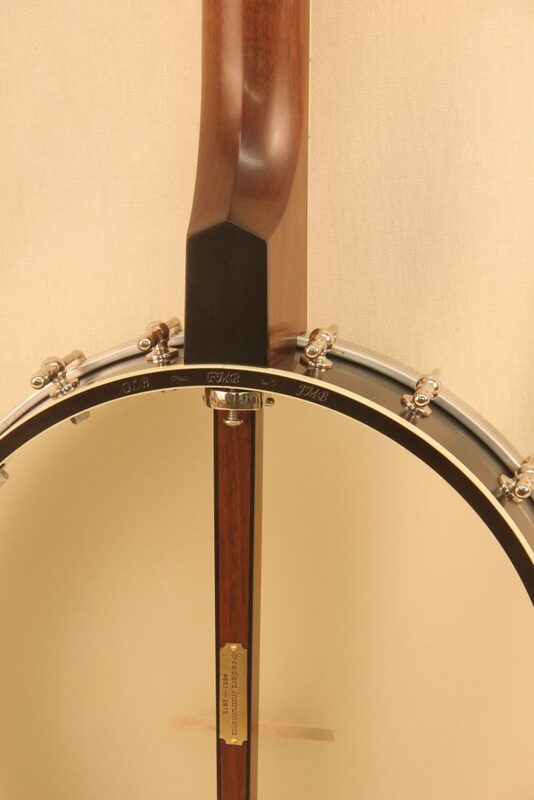 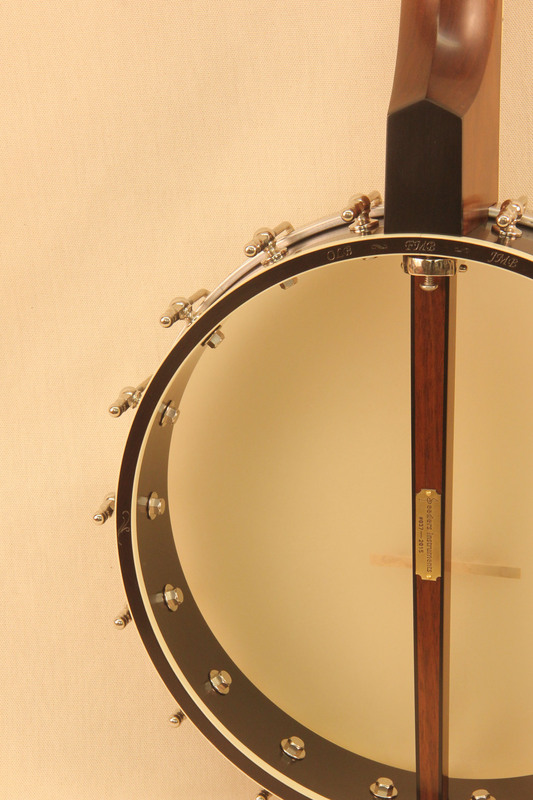 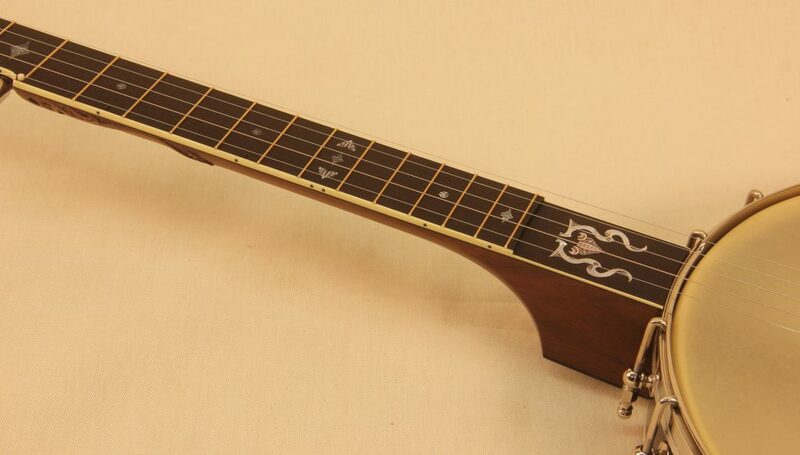 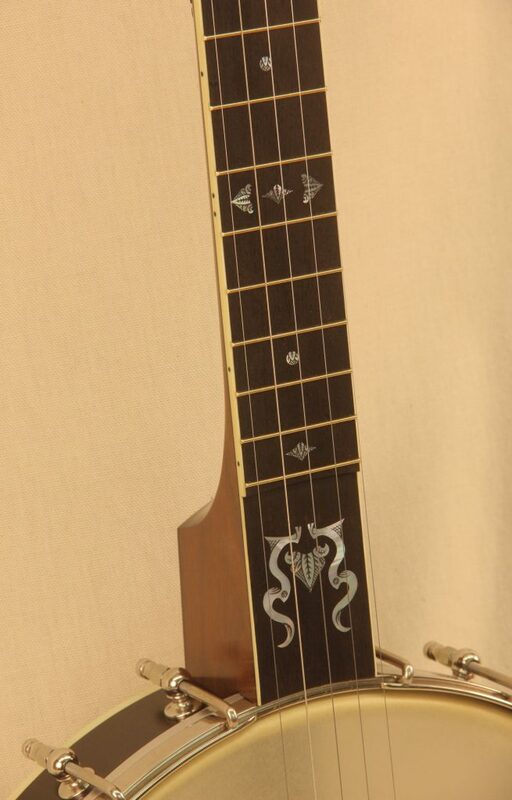 A walnut long scale banjo with a thin rim featuring engraved mother of pearl inlays. 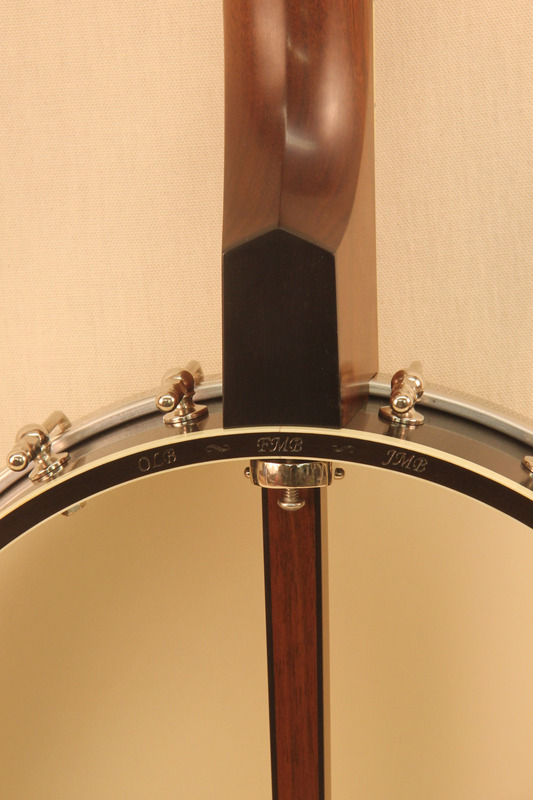 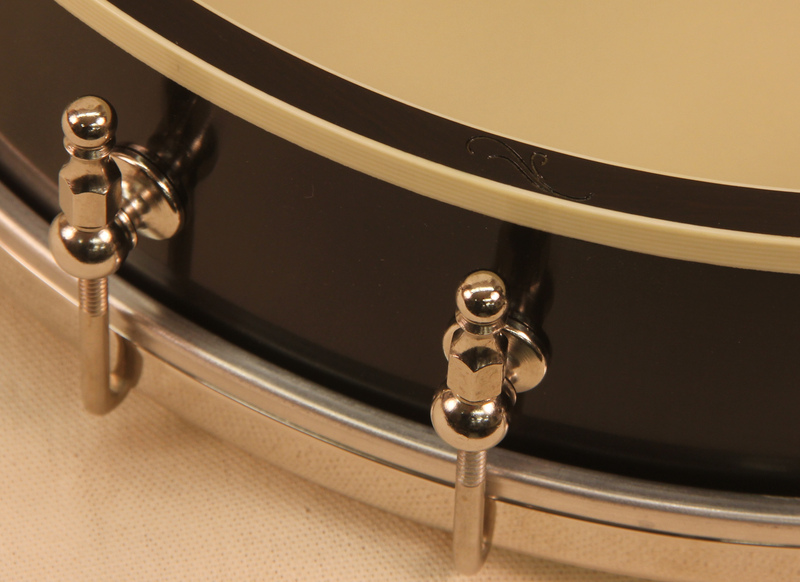 The rim has the owners niece and nephews initials engraved into the rim cap to add an extra personal touch. 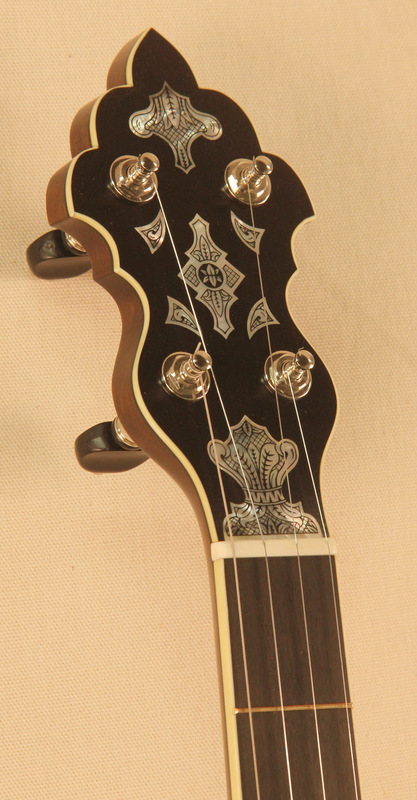 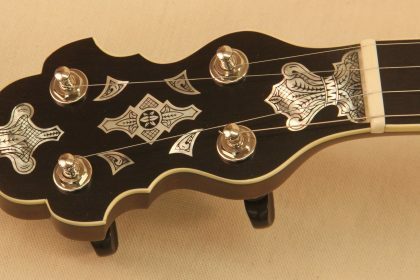 I used the floral engraving theme to design a unique fifth string transition carving.